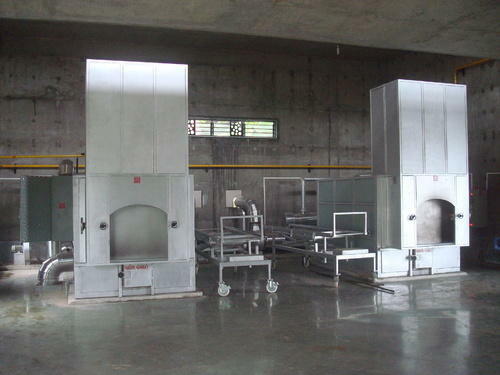 We are a foremost and trusted organization engaged in manufacturing an array of Industrial Ovens and Furnaces. These are available in standards specifications and can also be customized as per the application requirement of the client. We are a preeminent and reliable organization from India engaged in manufacturing and supplying an optimum range of industrial furnaces, heating equipment and special purpose machines. The versatile range we offer is also available in customized specifications so as to meet the exact demands of clients. All the machines and equipment are manufactured using latest technology and parts so as to ensure that these are in compliance with the industry standards.